ToyLogic is following up their popular action/adventure title, Happy Wars, with a free-to-play action-RPG affair, Happy Dungeons. The title will enter the Xbox One early access program, Xbox Game Preview, next week. 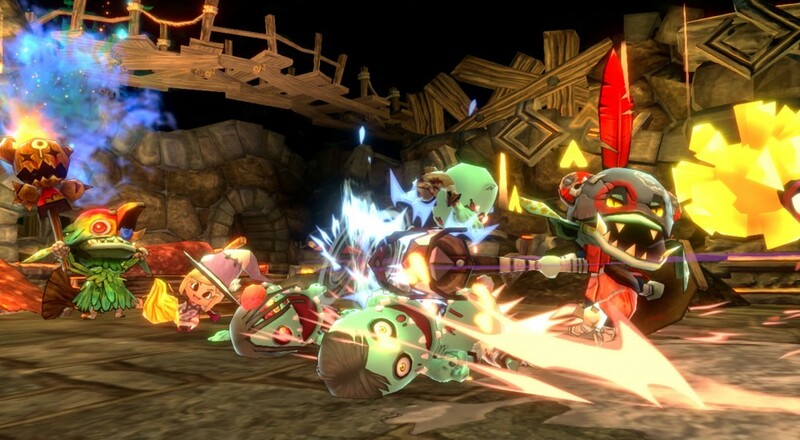 Up to four players can team up, either online or locally, to hack and slash your way through the joyous dungeons. There will be quests to undertake, bosses to slay, and loot to claim. ToyLogic hasn't given out a lot of information about how the free-to-play model will work out here, but Happy Wars featured packs of items you could buy with their premium currency as a way to shortcut the usual routine of gambling for them using in-game money. Hopefully, the pay aspects will follow a similar model and not be anything too bad. Happy Dungeons will be available to download for free next Wednesday, August 3, on the Xbox One. The title will be early access and, therefore, subject to updates/changes before it sees a full release later this year. Page created in 1.4234 seconds.